The newest versions of Notability automatically stash your Notes in iCloud – which is nice UNTIL something goes awry. Notability is as slow as Christmas, and you see the “I’m-working-on-it-spinning-icon” more often than not. We’ve also seen where Notability was trying to bring back notes from LAST YEAR which were not needed [nor appreciated]. Notability has offloaded some of your notes in iCloud, and is having trouble fetching them back. FIRST: Make absolutely sure your notes are backed up to Google Drive. If you haven’t organized them using Subjects and Dividers, now is a REAL good time to set that up. It will save TONS of time later. SECOND: In Notability, go into Settings –> iCloud. Turn it OFF. You very well might see some of your notes, dividers, and subjects disappear. If that happens, setup the notes and dividers again manually, and then download the missing material from Google Drive. 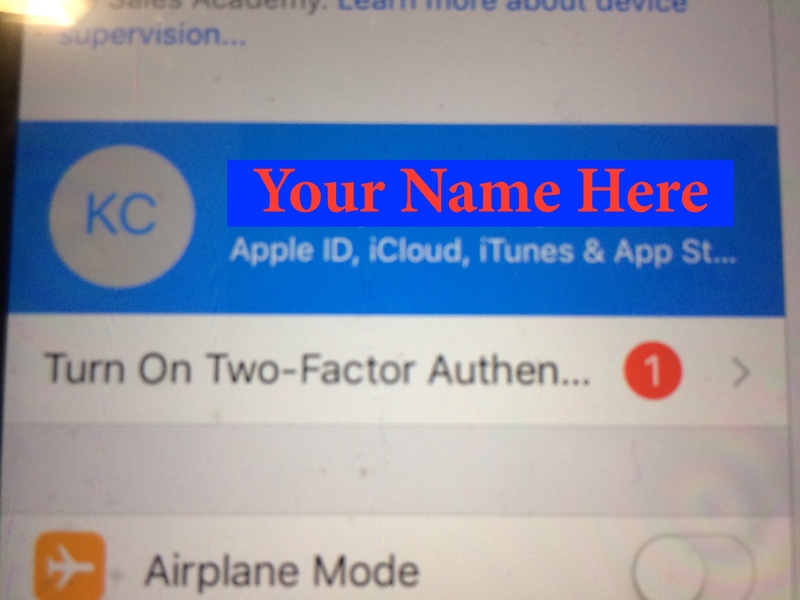 Some students have turned what is called Two-Factor Authentication on inside their iCloud account. For most of your digital devices, this is a good idea. HOWEVER, for the MDS iPads, it creates a lot more work for the tech team AND has the potential to keep your iPad from getting prepped for the next school year. Therefore it is MANDATORY that two factor be turned off on your iCloud account [and thus your iPad] BEFORE you will be allowed to turn your iPad in. So what happens if you don’t turn in your iPad? You get a substantial bill – enough to make the people in your life who pay the bills VERY unhappy. So how do you know if it is turned on or off? If it IS, then your will be allowed to turn in your iPad. Login. Your account and password should be the same as your email – if it is not, check with Tech Support. Locate the part where the screen says Two-Factor Authentication is ON. Click the link to turn it OFF. You will have to select some security questions. Check with Tech Support to see what we recommend. DO NOT add a rescue email or a trusted phone number – unless you like making your life more complicated and giving yourself headaches. On your iPad, you will have to type in your AppleID password again. Please do so – that way your backup can happen. AppleID – Are you signed in? If you are NOT signed in to your iCloud/AppleID account, then Find My iPad will NOT work. This might not seem like a big deal now, but will be when you misplace your iPad [ask the 10 students who have misplaced theirs this week] OR had theirs stolen out of their car [yes, it has happened]. If you see this, your iPad is NOT signed in. You should sign in RIGHT NOW – use your MDS email account and your Moodle password. NOTE: If your moodle password does not have at least one uppercase latter, one lowercase letter, and one number, you should have modified your moodle password to make your AppleID password. Switch the case of the first letter. If missing a number, add 1871 to the end of your moodle password. If you have changed, or didn’t follow these instructions at the beginning, you’ll need to do the “reset password” dance. If you see this then you are indeed signed in. Click and say “NOT NOW”. Save yourself some headaches. Click on the note about Two Factor Authentication, and click on “Not Now”. This will save you a lot of headaches.